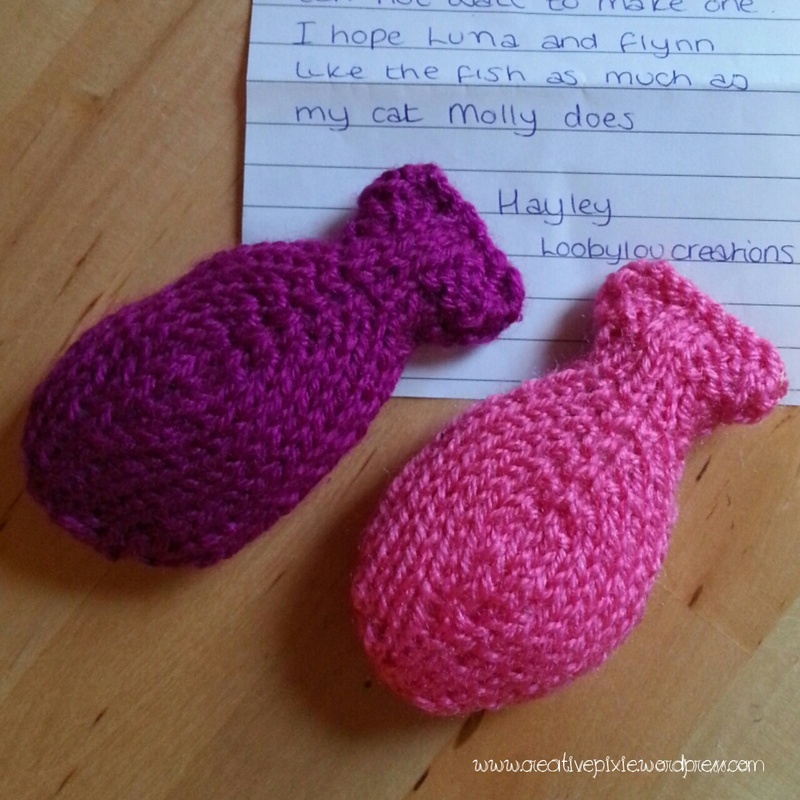 Today I was lucky enough to receive a parcel from the wonderful Hayley at loobyloucreations. 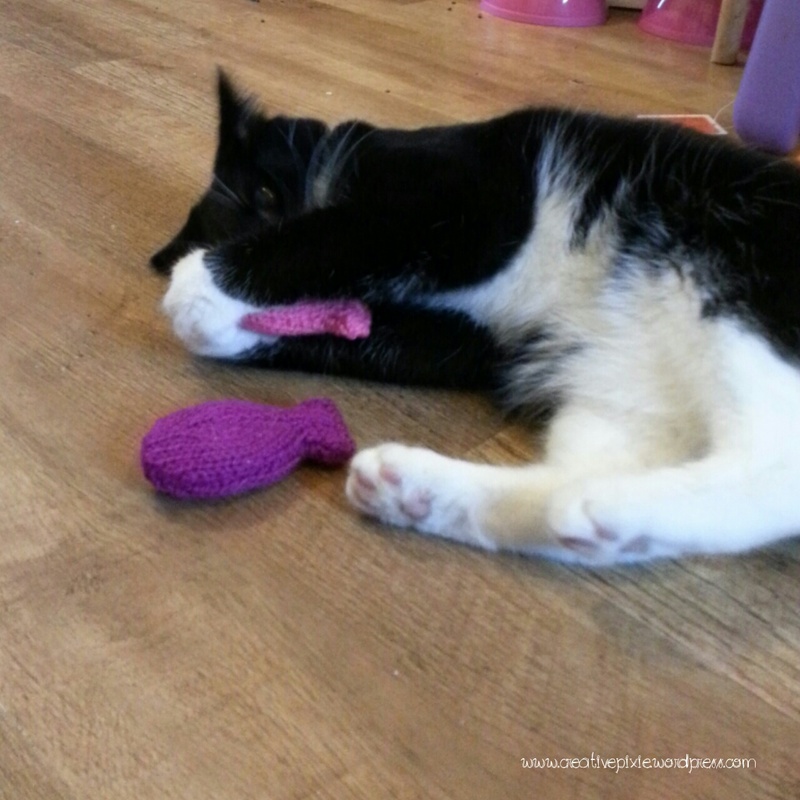 She recently did a blog post featuring some rainbow catnip fish that she had knitted. I commented on how lovely they are and she had said about making her own mouse from my fabric mouse tutorial so we suggested a swap. I offered to send her some fabric squares so she could make her own mice in return for a knitted fish for my cats. So here’s what arrived today – 2 fish!! 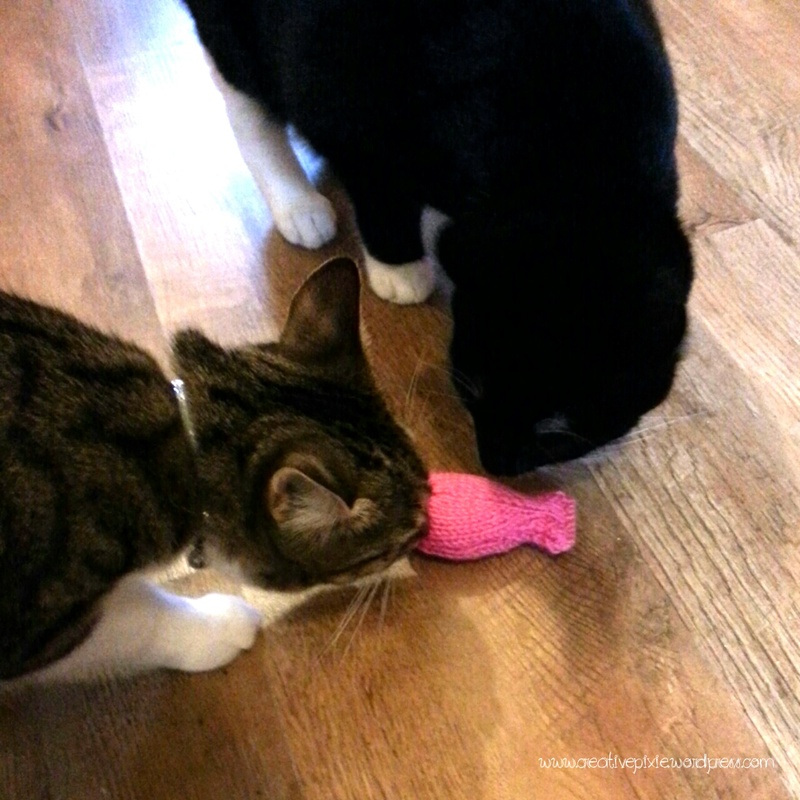 My cats immediately showed an interest in their new toys. 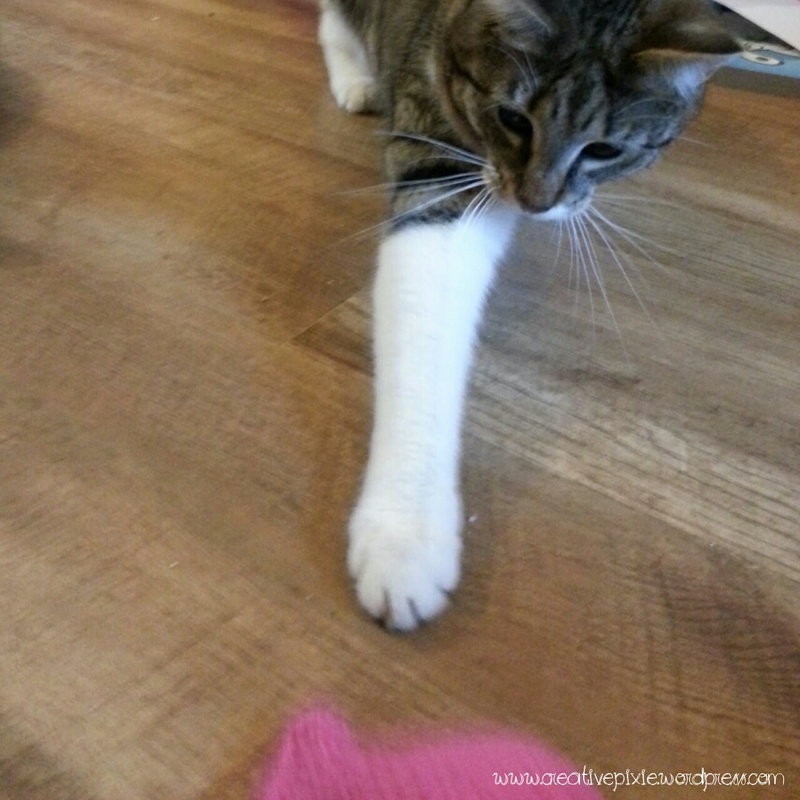 Flynn was busy flicking the fish across the floor. Luna just wanted to rub the catnip fish all over her face. Thanks so much Hayley for your very kind gift. I’ve got to make some knitted fish! Class! Awww that’s nice to hear. Aww this is adorable! Lovely to see that they like their gift!